Elderflower season is a glorious time in the Midwest. Everywhere you look – along roadsides, wood edges, and creek bottoms – you see elderberry bushes in full bloom. In addition to the delicious elderflower kombucha recipe that I’m going to share with you today, the range of recipes you can create with the simple elderflower is vast – check out my collection of elderflower recipes to get inspired! And don’t forget that the elderberry itself is immune-boosting and tasty. I like to enjoy it as an elderberry syrup. Yum. Elderflower kombucha is very simply a combination of an elderflower simple syrup and your homebrewed kombucha. In the secondary ferment, the elderflower syrup’s sugar content kick starts carbonation, so you end up with a lightly fizzy beverage, and the subtle, yet unique flavor of elderflower shines through the kombucha tang. It’s a great refreshment for a hot summer day. Next, it’s time to make a batch of elderflower simple syrup. 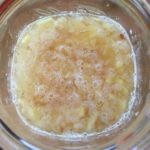 I usually make a batch that is slightly larger than what I need, and store the remainder in the refrigerator for a few days, keeping in mind that elderflower simple syrup can ferment quickly. Harvest elderflowers in full bloom by cutting clusters of flowers off the stem. If you need help identifying elderflowers, check out this post. Elderflowers are amazing food for pollinators, which means that they are often covered in small insects. I like to place them upside down on a tea towel for a few minutes and let the small insects crawl out. While you’re waiting, create a simple syrup by bringing the water and sugar to an almost boil on the stovetop. Turn off the heat, stir the sugar until it is dissolved completely, and allow the syrup to cool until you can comfortably place a finger in the syrup for a few seconds. Place the clean elderflowers in a mason jar or other glass container, and pour the simple syrup over the elderflowers. Place in a cool location, and allow to steep for 1-2 days to infuse the simple syrup with the flavor of the elderflowers. Strain the elderflower syrup through a wire mesh filter, and store your elderflower simple syrup in the refrigerator until you are ready to use it. 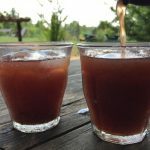 1) Make a fresh batch of kombucha, following the instructions in this post. 2) Reserve the SCOBY and 1/2 cup of kombucha and place them in a glass jar to begin a new batch of kombucha. 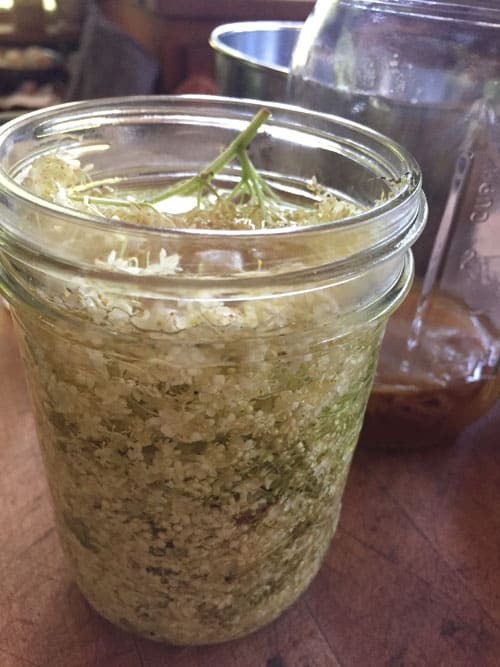 3) Divide your elderflower simple syrup equally among glass bottles and then top off the bottle with your kombucha. 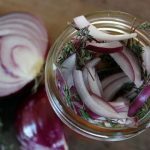 Seal the lid and place the bottle in a safe place to ferment for one to five days. 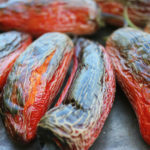 Fermentation will happen more quickly in warmer temperatures. Important Safety Note: At this stage, the fermentation of the elderflower simple syrup will create carbon dioxide, which is what will make your kombucha fizzy. However, the carbon dioxide can also cause your glass jars to explode if the fermentation is left unchecked. Carefully “burp” your bottle each day to check on the level of carbonation, and store in a safe location. A cooler is an option we have used in the past. 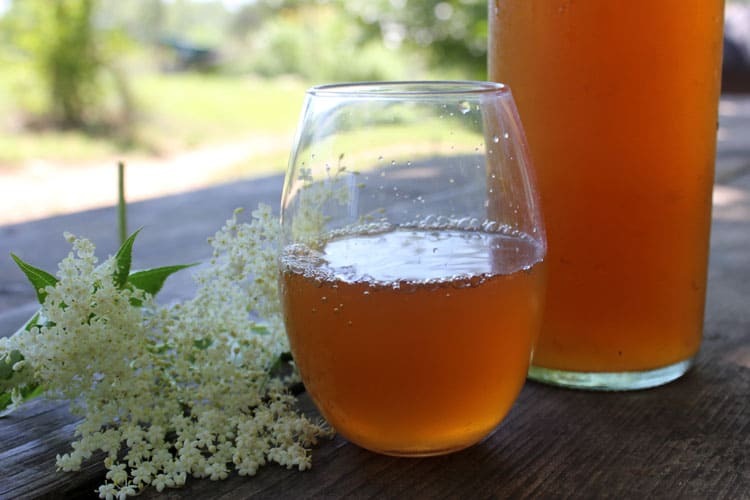 Made with wild-harvested elderflowers, this elderflower kombucha recipe is a delightfully fizzy and refreshing probiotic drink, perfect for summer celebrations. Harvest elderflowers in full bloom by cutting clusters of flowers off the stem. Create a simple syrup by bringing the water and sugar to an almost boil on the stovetop. Turn off the heat, stir the sugar until it is dissolved completely, and allow the syrup to cool until you can comfortably place a finger in the syrup for a few seconds. Place the clean elderflowers in a mason jar or other glass container, and pour the simple syrup over the elderflowers. 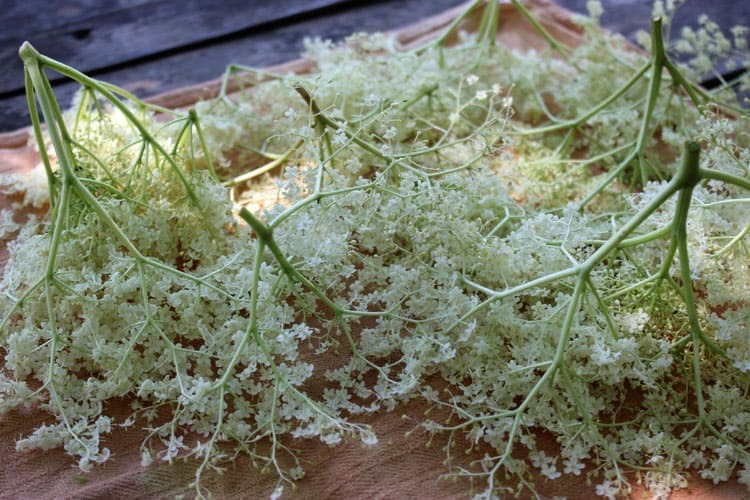 Place in a cool location, and allow to steep for 1-2 days to infuse the simple syrup with the flavor of the elderflowers. Strain the elderflower syrup through a wire mesh filter, and store your elderflower simple syrup in the refrigerator until you are ready to use it. Make a fresh batch of kombucha, reserving the SCOBY and 1/2 cup of kombucha and placing them in a glass jar to begin a new batch of kombucha. Divide your elderflower simple syrup equally among glass bottles and then top off the bottle with the freshly made kombucha. Seal the lid and place the bottle in a safe place to ferment for one to five days. Fermentation will happen more quickly in warmer temperatures. Important Safety Note: The fermentation of the elderflower simple syrup will create carbon dioxide, which is what will make your kombucha fizzy. However, the carbon dioxide can also cause your glass jars to explode if the fermentation is left unchecked. Carefully “burp” your bottle each day to check on the level of carbonation, and store in a safe location. A cooler is an option we have used in the past. Enjoy your elderflower kombucha over ice, or chilled!